Making a decision for buying your own property is always a big step in life. It is even harder to make that decision if you are living abroad and you are not feeling at ease dealing with the whole procedure. However, it is worse if you are living abroad, you want to buy your own property but you don’t have enough money to pay for it at once. Then you definitely need to apply for a mortgage loan which seems like a “mission impossible” in terms of not being a local. But don’t worry! Foreigners.cz cares enough for expats living in the Czech Republic and strives to make your living in the country more comfortable. That is why we have launched free consultations with a financial consultant who will advise foreigners on mortgage possibilities in the Czech Republic. Jakub Vojtech is a trustworthy personal advisor on mortgage loans who will be giving free consultations on this issue at Foreigners.cz. To start with, Jakub sat down with us to discuss the basic and the most important questions about mortgage loans. 1. How can foreigners apply for a mortgage loan? Foreigners can go to any Czech bank and ask about the possibility of getting a mortgage loan. In this case, the problem is that each bank assesses foreigners very differently in terms of options, requirements and conditions of mortgage loans. However, they will always try to sell you their offers despite the fact that they may not be the best ones for you. The best way of applying for a mortgage loan is to meet with a professional financial consultant, who will listen to your requirements and financial possibilities. Based on the information you provide, he will make proper recommendations to you and he will find the best solution across all Czech banks. Another advantage of using the services of a professional consultant is that he will help you in going through the whole process of getting mortgage loan and purchasing, safely and smoothly. The consultant will also help you in negotiating the best terms with the bank and will recommend you what to be aware of. 2. What kinds of mortgages are available on the market? Mortgage has two basic parameters – the loan has to be secured by real estate and the purpose of the loan must be solution of housing needs. Perhaps the most important parameter is the ratio of mortgage loan against the value of the property (LTV – Loan to Value). Ordinarily, banks lend 85% LTV, where the value is the price valued by an expert from the bank, based on price maps and the ability to sell the property in case the client defaults. Therefore, the bank can sometimes value the property lower than the real market price is and lower than the price at which you want to buy property. Then people may need to use more of their own resources. Our specialists recommend having prepared ideally 20% to 30% of your own funds on real estate price. 3. What kinds of documents are needed? – Your personal information, marital status, citizenship, and so on. – Your income, especially amount, source and stability. – The property, its value set by the bank expert and possible legal or technical risks. 4. How much time does the whole procedure take? The whole process above all depends on the people involved, so the length of the process can’t be generalized. From the first meeting with your mortgage expert it may take one to two months pending the signing of a purchase and loan contracts. 6. Which is the wiser solution for foreigners – to apply for mortgage loan by themselves or to trust a mortgage broker and let them do the work? 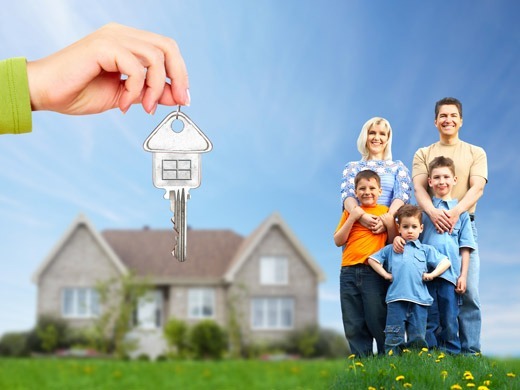 A mortgage is an issue that people solve several times in a lifetime and usually it is a very crucial step in life. Answer for yourselves, whether it is better for you to trust a bank employee, who is motivated to sell you a product, make money to its bank and who will never go with you into the field of helping you, or maybe it is better to use the services of an expert who will be watching your back, helping you in going through the process safely and without stress. Almost all wise Czechs use the services of a trusted expert to represent their interests and to help them safely achieve the desired result. What Jakub’s clients say about him? We own a property outright (without mortgage) in the Czech Republic. We live and both work in the UK. We would like to take out a mortgage or secured loan against the house so that we can invest in more property. Please can you tell us if this is possible and if so how do we go about it? worldwide.we are lending loan at a very low interest rate of 1%. God bless American__________& the entire world..
i need an urgent loan to pay off my bills then worry no more,barclaybank plc is the solution to your problem ,and we give out all kind of loan to different part of the world with a very low int rest rate 2% so if you are interest kindly get back to us via email barclaystrustbank800@gmail.com, and you will get your loan without no delay or stress. ;;;;;;;; thanks and god bless you as apply.;;;;;;;;;;;;;;;barclaystrustbank800@gmail.com. Do you need a loan? If yes! Contact Ocean Finance and Mortgages Limited ®for small and large loans amount. We give out loan at 2% interest rate. Contact us today via e-mail at oceanfinance459@gmail.com .We also give out from. £5 thousand Pounds to 100 million Pounds for individuals and companies, the credit is open to all regardless of nationality. Are you in need of a loan to help your get back on your feet? contact us today via email at swiftloanlending@gmail.com for more information on how to secure a loan fast and easy. Why nobody cares about so much scam here in the comment? registered with the international loan organization. Contact me today and i promise you will be glad. Are you looking for a loan? You are the right place for your loan solutions right here! We specialize in providing capital for Business Startup, Business Developments, Business Expansion,(Startup Capital from 20,000.00 to 10,000,000.00 @2% Interest rate_No early or late repayment penalties. Get Instant Short and long term Capital funding within 1 year to 25 years_ Easy service & Fast Approval. Thanks to Mr Larry Buknor, I can finally smile again and he gave me a loan to invest in business. loan funds of $250,000,000.00 has been awarded to two of my colleagues, we also received a loan without any difficulty with an interest rate of 2% per year. I advise you no longer on the wrong people, if you want a loan for a project or another need. I’m making this announcement because Mr Larry Buknor, with this loan has helped a lot. Through a friend I met this honest and generous gentleman. You can write to him and he will work to your satisfaction. you can contact Mr Larry Buknor by via E-Mail: Larrybuknorlendingfirm@yahoo.com,Thank you. Wow. This comment thread is fucked. I believe that the most important ‘key’ to a successful relationship would have to be ‘trust’. I believe that with trust, love will follow. However, what I have noticed is that many people think trust, or expect that trust is to be earned by the other person, when in all actuality it is something that comes from within yourself. All too many times people will say they don’t trust due to past experiences. What they don’t realize is that they have built up those proverbial walls to protect them from the very thing they are searching for… yes, there is a risk in trusting someone, but when you finally find that ‘right’ person, it makes all the past experiences and lessons learned very much worth the risk. All of life’s little lessons do not have to be painful… even when they seem so at the time.You just have to chalk it up to experience and move on. Nothing is worth closing your heart. nothing is worth living in a world of fearing what bad ‘may’ come to you. Without trust, you close your heart to the happiness and joy that true love brings. to do, a Chat’s the risk… but why allow past betrayals to prolong the pain by building a fortress around your heart that not only protects you from pain/betrayal, but also denies you the ability to experience happiness and joy? The good day for everybody is a time you have been waiting for. Have you been permitted with fraudulent factories? Do you really have to pay for your money? Do you have unbeatable funding? Do you want a shopping mall? Personal loans, residential buildings, loans, student loan loans, debt training, venture capital, etc. Established financial resources for companies and people with low and easily accessible 2%. If you are interested in paying the hasty debt? Please contact us today via email (charissaluther767@gmail.com) via WhatsApp 0046852054977 and get your current amount today. Hello, i want to use this medium to testify of a loan company that help me obtain a commercial loan with less stress and understandable Terms, they offer all Type of Loan. If you are interested in obtaining a loan you will have to contact them with the below info. Please let them know you were reffered to them by Lin Angela. kreditech are credible online loan lenders that offer loans to individuals based on their creditworthiness. I AM PAUL CAMPBELL A LEGITIMATE AND TRUSTED LOAN LENDER WHO OFFERS LOAN AT 2% DISCOUNT RATE WE OFFER LOAN TO COMPANY CO-OPERATE BODY INDIVIDUAL FROM $2000 TO $1 MILLION IF INTERESTED FEEL FREE TO CONTACT ME VIA E-MAILpu878317@gmail.com FOR YOUR QUICK AND URGENT LOAN. If you are in need of loan and you are sure you will pay back the loan please contact them On europeaninsurancecompany@gmail.com or whatsapp/call : +393510747468 And they are located in the European part of the world……….